Do you know the history of Presidents Day? While February is best known for the romance of Valentine’s Day, it’s also the month that we remember U.S. presidents on Presidents Day. It’s the third Monday in the month, falling right between Abraham Lincoln’s and George Washington’s birthdays. Because Lincoln’s birthday isn’t a federal holiday, some states still recognize the 16th president’s birthday on the actual day. Arizona, California, Illinois, Indiana, Missouri, and New York still observe Lincoln’s birthday on Feb. 12. The move to celebrate Lincoln’s birthday began after his assassination in 1865. In December, the U.S. House of Representatives Select Committee agreed that Feb. 12, 1866 should be set aside for ceremonies in the House of Representatives. Lincoln’s secretary of war, Edwin Stanton, was asked to give a eulogy for Lincoln at the event. When the day arrived, the Capitol was closed to the public and guests filed into the House chamber for the commemoration, which began at noon. The Goshen Times noted on Feb. 15th at the president’s birthday was commemorated by both houses of Congress, the Cabinet, the Supreme Court, officers of the army and navy, and even foreign representatives. The event was in the chamber of the House of Representatives where they listened to historian George Bancroft talk about “the life, character, and services of Lincoln…forming one of the most imposing scenes ever witnessed in the land.” The address took nearly two hours. The celebration began to spread as state legislatures and city councils sought for a way to recognize a president who was becoming a martyr in the eyes of many. In 1867, the New Jersey legislature recognized Lincoln’s birthday with orations about Lincoln in the state house. A portrait of Lincoln was also presented to the legislature and hung in the state house, according to the Burlington Daily Hawk-Eye. Despite the statewide recognition, many people thought that Lincoln’s birthday should be a federal holiday. Julius Francis, a druggist in Buffalo, N.Y., was one of the biggest proponents of a Lincoln’s Birthday holiday. According to The Buffalo News, he worked throughout his life to honor Lincoln. 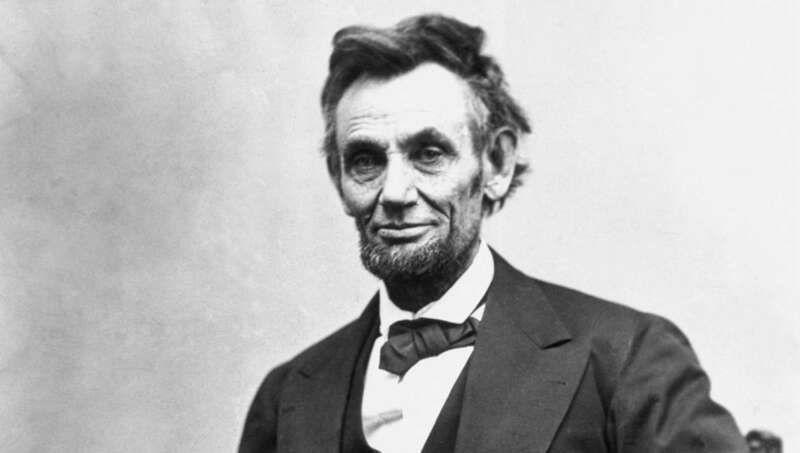 He repeatedly petitioned Congress to make Lincoln’s Birthday a federal holiday. The celebrations of Lincoln’s birthday began appearing in the Gettysburg newspapers in the 1890s. One 1894 item in the Star and Sentinel described the celebration that the Sons of Veterans held in the GAR Hall. Henry Stewart served as the master of ceremonies. Margaret McMillan sang patriotic songs. William Hersh spoke on Lincoln, and Capt. Jason Long talked about the war and recited the Gettysburg Address. A few years later in 1897, George Hopwood of Fayette County added an amendment to an unrelated bill that made Lincoln’s Birthday a holiday in the commonwealth. The states continued to recognize the holiday, which was in close proximity of Washington’s Birthday holiday less than two weeks later. Things began to get confusing in the 1960s when Congress passed the Uniform Monday Holiday Act. The law shifted several holidays from specific days to a Monday. The reason behind the change was seen as a way to create more three-day weekends and reduce employee absenteeism. “While some argued that shifting holidays from their original dates would cheapen their meaning, the bill also had widespread support from both the private sector and labor unions and was seen as a surefire way to bolster retail sales,” according to History.com. The law also called for combining the commemoration of Lincoln’s and Washington’s birthdays into a single federal holiday. This part failed due to opposition from Virginia legislators who didn’t want the holiday of their native son diluted by combining it with Lincoln’s Birthday. While the two birthday celebrations weren’t combined, Washington’s Birthday, Memorial Day, Veterans Day, and Columbus Day were all moved to Monday celebrations. In the case of Washington’s Birthday, it began to be celebrated on the third Monday in February. “The move away from Feb. 22 led many to believe that the new date was intended to honor both Washington and Abraham Lincoln, as it now fell between their two birthdays. Marketers soon jumped at the opportunity to play up the three-day weekend with sales, and ‘Presidents Day’ bargains were advertised at stores around the country,” according to History.com. This perception continued and people began to refer to Washington’s Birthday celebration as Presidents Day. By 1998, a dozen states had formally changed the name from Washington’s Birthday to Presidents Day. At the federal level, though, the third Monday in February remains Washington’s Birthday. Feb. 12 is celebrated with a wreath-laying ceremony at the Abraham Lincoln Birthplace National Historic Site in Kentucky and the Lincoln Memorial in Washington, D.C. The latter is organized by the Lincoln Birthday National Commemorative Committee and by the Military Order of the Loyal Legion of the United States and has been conducted ever since the Lincoln Memorial was dedicated in 1922. Wreaths are also laid at the graves of U.S. presidents on their birthdays. This is done on behalf of the current president. As part of this tradition, a wreath is also laid at Lincoln’s Tomb in Illinois. Locally, the Inns of the Gettysburg Area host a Celebrate Lincoln! event in February to remember Lincoln’s time in Gettysburg. The event tells the story of the dedication of the National Cemetery on Nov. 19, 1863, and gives the background of the Gettysburg Address. It features a presentation from a historian, a luncheon, and appearance by a Lincoln re-enactor. Which president loses out on Presidents Day? Do you think George Washington and Abraham Lincoln got shortchanged when their birthdays were combined into Presidents Day on the third Monday in February? Well, if one of them were to get mad, it would be Washington. It turns out that there is no Presidents Day holiday. (You can blame those darned retailers trying to make a buck for that.) The third Monday of February is a holiday, but it is officially identified as Washington’s Birthday. Poor President Lincoln’s Birthday doesn’t even rate a federal holiday.